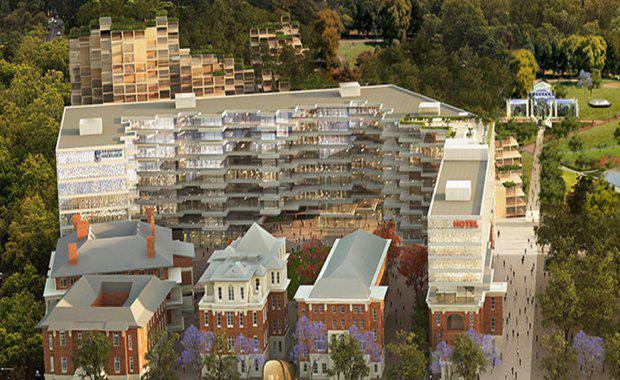 The South Australian Government has revealed they are undertaking a historic redevelopment of the old Royal Adelaide Hospital (RAH) site to transform Adelaide’s east end. The RAH site is expected to include various sectors including research, tourism, cultural and residential, with precincts built up to an estimated 17 storeys. According to ABC News, SA Urban Development Minister Stephen Mullighan said the new development proposal was designed to keep the area vibrant at all hours. "That requires people to work there during the day but we also want people visiting there into the weekends and into the evenings and having a hotel facility," he said. "Having the opportunity for people to live on site will make sure the site is busy 24 hours a day, seven days a week. "The SA Government revealed that the RAH site's new precinct will be made up of four quarters covering various areas - the Garden Quarter, University and Innovation Quarter, Culture and Tourism Quarter and Living Quarter. The Garden Quarter will take up almost a third of the seven hectare site and is dedicated to the Adelaide Botanic Gardens. Demolition of the East Wing is required and as a result the botanic gardens would almost double in size. The University and Innovation Quarter will contain a world-class research centre – a state-of-the-art campus linking the education sector with technology leaders, start-ups, businesses, entrepreneurs and social organisations. The University of Adelaide and the The University of South Australia have already expressed interest in utilising the quarter for a number of initiatives, including business development and environmental research. The Culture and Tourism Quarter will reuse heritage-listed buildings on North Terrace. A new 5-star hotel is also envisaged as part of the project, along with new public spaces including a North Terrace plaza, laneways and a European-style piazza. The Living Quarter will feature approximately 1080 apartments, including 150 "affordable student dwellings" and 60 supported residential care dwellings. The residential building could be up to 17 storeys high and will be designed to cater for all generations, including a mix of leasehold apartments, shared student accommodation and a state-of-the-art aged care facility. According to ABC News, Opposition Leader Steven Marshall said the development was a missed opportunity for South Australia. "This is an exciting precinct for the people of South Australia, and what we're going to get, essentially, is a property development," he said. "We think there's an opportunity, to build on the infrastructure that we've already got there, the medical infrastructure. "We think we could have an international health precinct on that site, mixed use with an iconic cultural program for South Australia. Instead we've got a housing development. "However, Premier Jay Weatherill said the development would draw people into the east end and breathe new life into the district. "We believe the proposal provided by the preferred proponent meets all of the expectations of the community and we look forward to revealing all of the details," Mr Weatherill said. The Government expects that once completed, more than 9300 people a day will work, visit or live in the precinct, with access to the area facilitated by the planned North Terrace tram line extension. The Government hopes to start work on the $1 billion development as soon as the hospital is vacated and said it would undertake a community engagement process to "ensure all South Australians have their say". The full development is expected to take 15 years.